Many around the world do not have a live event in their country or region yet still wish to learn this advanced level of TFT. This level, TFT diagnosis, is the original source of all of the tapping algorithms being used around the world. They all began with this process. Learn to address complex issues that require a custom tapping sequence or how to identify toxins and neutralize, or even eliminate the side-effects of medications which can only be done with the causal diagnostic process. Increase your level of success with tapping. 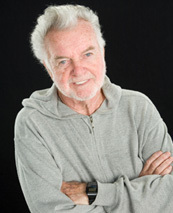 Worldwide attention is growing at an ever increasing rate for Thought Field Therapy® (TFT). 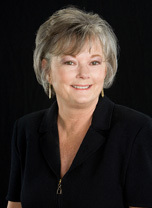 Dr. Callahan’s books, are in multiple languages around the world. The TFT Foundation’s documentary, From Trauma to Peace, is being screened in film festivals around the world from Cambodia to Vail, Colorado, with a PBS version in the works now. I just returned from a trip to Dubai and Abu Dhabi where I taught the algorithm level and planned for the diagnostic level next year. Just prior to that, I was invited to a University in Thailand by the Counseling Dept. to teach their staff and students. We have a group from China coming to the USA to learn all levels of TFT, including Voice Technology. An Israeli team of PTSD professionals are working with trauma using TFT in a study. Brazilian TV aired numerous programs last year introducing to their country. TFT is now in the medical schools and universities in Japan. The world is fast recognizing the power of this healing tool. The need for healing from trauma and fear is constantly increasing as we witness the devastation from war, genocide, earthquakes and volcanoes. Stress levels are at their highest ever as we watch these horrors take place from our own living rooms, office centers and even schools. Our PTSD studies over the last 9 years have shown TFT to be a safe, effective solution for large scale trauma relief. TFT is not only proven for the relief of trauma, but it also improves the quality of our daily lives, relieving the stress, anxiety, anger, guilt and negative emotions we all face on a daily basis, limiting our ability to achieve our true potential. It is recommended by high profile individuals, authors, personal development trainers and celebrities such as Paul McKenna (UK) and Jack Canfield (Success Principles, USA), Lynne McTaggart in the Living Matrix, and recently Joe Vitale (of the Secret) in his new DVD. Roger treated Whoopi Goldberg and Kelly Ripa for their fear of flying. They use and recommend TFT on national television and in best-selling books throughout Europe and USA. We are now making it possible for virtually any professional or concerned leader, anywhere in the world, to receive personal instruction in the best of TFT algorithms and diagnosis, directly from the developers. You all now have the opportunity to join the healing world of TFT, learning just what you need to help your family or boost your practice. The technology of today and the internet allow us to do this, and at a substantial savings to you, the consumer. It also allows us to update the material and add new protocols when they become available. You will be learning the same powerful algorithms that the TFT Foundation has used in the field in New Orleans after Hurricane Katrina, or in Rwanda with orphans of the genocide, in Haiti, in the Congo, and even on the front lines of Afghanistan and Iraq. These powerful algorithms help war veterans, disaster victims and genocide victims, imagine how they could help you and your clients or loved ones with their daily traumas and challenges. TFT Boot Camp Online Course includes the complete toxin procedures and materials in the self-help package, Sensitivities, Intolerances and Toxins. These powerful techniques are so very important for improving overall health and quality of life. Think how much better you or a family member could feel if you could eliminate all the negative side-effects of a necessary medication. I know from personal experience, when I had Stage IV Non-Hodgkin’s Lymphoma, how much better life is without the headache, nausea or flu-like symptoms that come with some necessary medications. 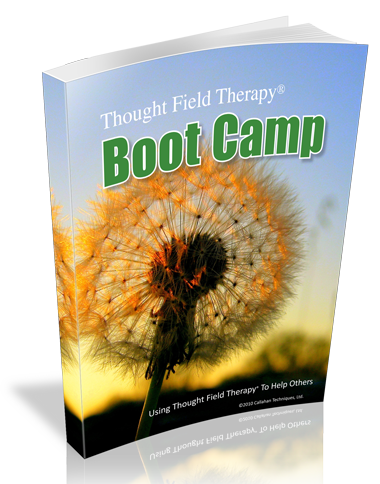 The Thought Field Therapy Boot Camp Online course includes TFT training, practice and tapping demonstrations. A variety of problems are addressed including; physical pain, abuse, trauma victims, anxiety or panic, depression, addictions, anorexia, simple phobias and many of life’s problems that we all experience. It gives you the tools to not only rapidly increase your skills, broaden your applications and discover the benefits of TFT for yourself. TFT has been safely self-applied for over 35 years. Very few healing modalities can make that claim. Join those that can develop a specific tapping sequence to address what challenges exist in their lives and others. Be a part of a rapidly growing international group, healing the world with the original source of tapping that includes a foundation of 35 years of development, research and application in many cultures. MBA President, Callahan Techniques, Ltd.
Class workbook with powerpoint slides. you’ll be able to apply a $300 discount towards the tuition.